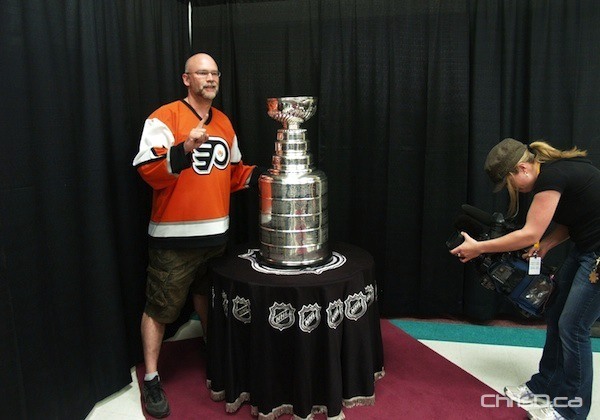 The coveted Stanley Cup arrived in Brandon Wednesday morning on the day the hometown Wheat Kings face off against the Calgary Hitmen. The puck drops inside the Keystone Centre at 7 p.m. tonight as part of the 2010 MasterCard Memorial Cup. Our partners at iTVBrandon.com have been covering the series extensively with interviews, highlights and backstage access since the tournament began. The action wraps up Sunday, with the final two teams yet to be determined. Can’t be in the Wheat City? The games are being broadcast nationwide on Rogers Sportsnet.